The Street Team challenge for October is to create something that falls within the parameters of Halloween/Spooky/Creepy. 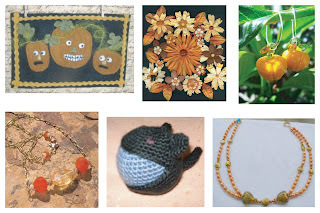 Entries for the challenge can been seen on Etsy when you search for OctMN07. All entries are due on September 30th, so check back often to see the new additions. Thanks to Shellyann, capturedtimebooks, StoneyMistDesign, eyecandycreative, fuzfrenzy, and DancingJems for their contributions!